Radio is among the most economically viable mediums of mass communication. It is also regarded as a powerful medium as its reach is universal. However, in order to exploit radio’s true potential you must know how to use it effectively. 1. Know Your Tools: A radio copywriter only has limited tools at his disposal like emphasis, tone, pitch and pace. Writing intended for radio can only be vivid and emotive by utilising these tools well. Variation in tone helps to break the monotony and animate the radio copy. The pitch must complement and illustrate the key message of the copy as retention value of radio is low. 2. Opening and Closing act: For radio copy to be effective, the opening words must grab the attention and the closing words must have a lasting impression on the listener. As radio is a passive medium i.e. it does not commands full attention of a person, the writer must compensate for this shortcoming. 3. Economy of Words: This principle applies to all writing but it is all the more critical for radio copy. A lengthy radio copy has little or almost no effect, as it not possible for the listener to remember long details by listening to them just once. 4. Kindle Imagination: Radio is a medium which lacks visuals but that does not means that it cannot paint a visual picture. Creative use of sound effects and adjectives will grant a unique vividness to the radio copy. 5. Humour: Humour is something which if well used can establish a rapport with the listener and can effectively propagate the message. Humour also helps to augment the retention value of radio advertisement. Writing for radio warrants a slightly different approach as you are writing for the ear not the eye. The aim is to influence the listener which can only be achieved by offering something interesting to listen. Social media has given advertisers a powerful tool to connect and influence the younger generation. Owing to the increasing penetration of Internet, social media has emerged as one of the most important elements in the advertising mix. However, conventional media like television still maintain their stronghold on the India subcontinent. Ubiquity: Though, the pervasion of Internet has been remarkable at the least, it still cannot match the ubiquitousness of television. Television is something that is rudimentary to every household while internet is still somewhat accessorial. The Reach: Television still continues to be the closest bet to a universal medium. While television connects with almost all demographics, social media can only reach the urban and semi urban population. Social media is still light-years away from reaching rural and backward areas. Simplicity: Social media certainly cannot compete with the simplicity of the idiot box. Television can be operated and understood by most masses, even the illiterate. Social media requires its user to be internet savvy in order to exploit its potential. Targeted Approach: Social media extends advertisers, the privilege to acquaint themselves with their audience. With social media, advertisers can adopt on a highly targeted approach and tap on niche markets. 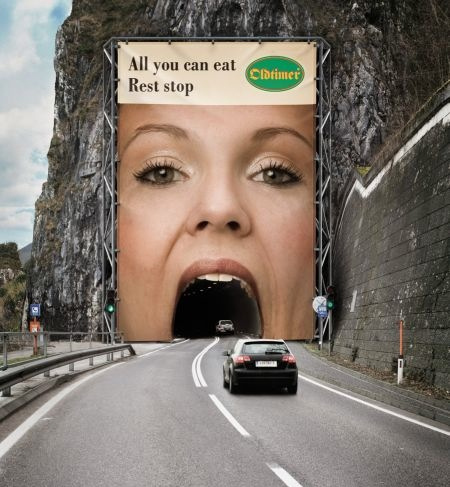 The various facets of advertising have undergone many changes in the recent past. While television still continues to be the dominant medium, it is also apparent that social media poses a veritable threat to its dominance. From a long term perspective, advertisers cannot afford to ignore the potential and reach of social media.